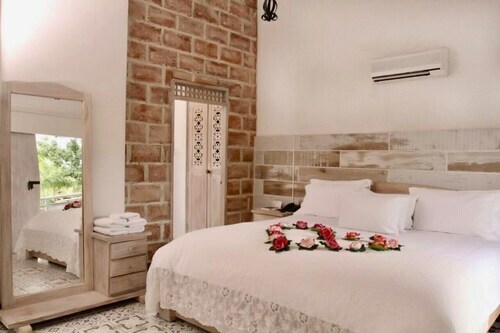 Situated in Santa Fe de Antioquia, this hotel is within a 5-minute walk of Church of Our Lady of Chinquinquira, Cathedral of Santa Fe de Antioquia, and Bolivar Square. Bridge of the West is 3.4 mi (5.5 km) away. 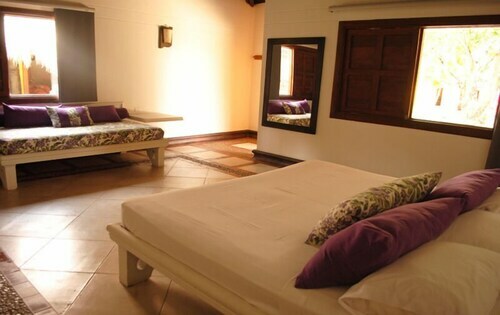 Situated in Santa Fe de Antioquia, this spa hotel is steps from Bolivar Square and Cathedral of Santa Fe de Antioquia. Church of Our Lady of Chinquinquira is 0.3 mi (0.4 km) away. 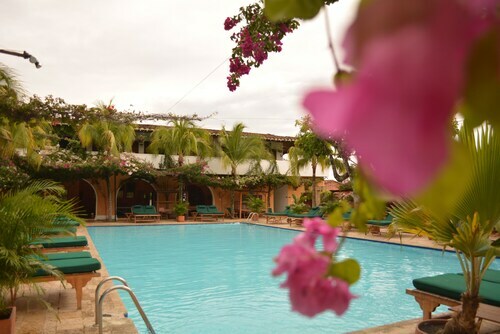 This family-friendly Santa Fe de Antioquia hotel is within a 15-minute walk of Church of Our Lady of Chinquinquira, Cathedral of Santa Fe de Antioquia, and Bolivar Square. Bridge of the West is 2.9 mi (4.7 km) away. 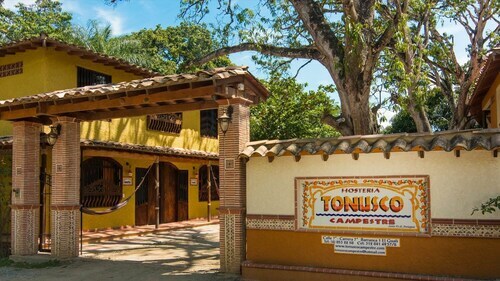 Situated in Santa Fe de Antioquia, this hotel is within 3 mi (5 km) of Cathedral of Santa Fe de Antioquia, Bolivar Square, and Church of Our Lady of Chinquinquira. Bridge of the West and San Jeronimo Church are also within 12 mi (20 km). Located in a rural location, this family-friendly hotel is 12.8 mi (20.7 km) from Bridge of the West. 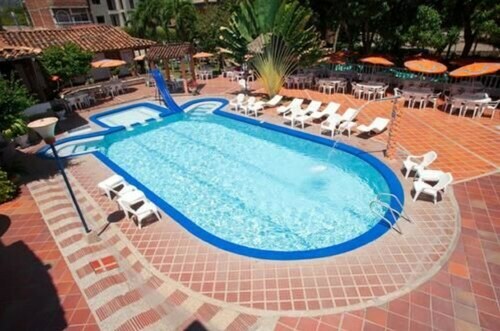 Situated in San Jeronimo, this spa hotel is within 1 mi (2 km) of San Jeronimo Park and San Jeronimo Church. El Gaitero Ecopark is 1.8 mi (3 km) away. 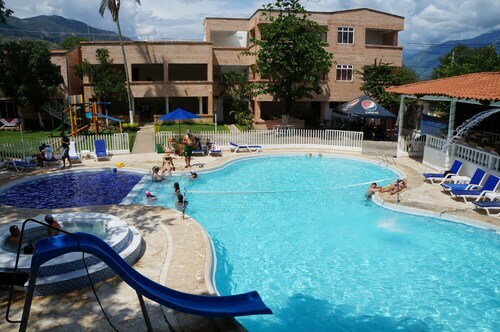 This family-friendly Santa Fe de Antioquia hotel is within 2 mi (3 km) of Bolivar Square and Cathedral of Santa Fe de Antioquia. Church of Our Lady of Chinquinquira is 2.1 mi (3.3 km) away. This family-friendly Santa Fe de Antioquia hotel is within a 15-minute walk of Cathedral of Santa Fe de Antioquia, Bolivar Square, and Church of Our Lady of Chinquinquira. San Jeronimo Park and El Gaitero Ecopark are also within 12 mi (20 km). Situated in Sopetran, this hotel is within 6 mi (10 km) of Bolivar Square, Cathedral of Santa Fe de Antioquia, and Church of Our Lady of Chinquinquira. San Jeronimo Church and San Jeronimo Park are also within 9 mi (15 km). This family-friendly Santa Fe de Antioquia hotel is within a 10-minute walk of Bolivar Square and Cathedral of Santa Fe de Antioquia. Church of Our Lady of Chinquinquira is 0.6 mi (0.9 km) away. Situated in Santa Fe de Antioquia, this hotel is within 3 mi (5 km) of Bolivar Square, Cathedral of Santa Fe de Antioquia, and Church of Our Lady of Chinquinquira. Bridge of the West and San Jeronimo Church are also within 9 mi (15 km). Situated in Santa Fe de Antioquia, this hotel is within a 10-minute walk of Cathedral of Santa Fe de Antioquia and Bolivar Square. Church of Our Lady of Chinquinquira is 0.7 mi (1.2 km) away. Maybe you’ve got to travel for work, or perhaps you’re finally ready to book that much-deserved vacation—regardless, it’s time for you to get on a plane and you’re going to make the most of it. You’ve traveled enough to know how important a comfy bed and room service can be, so booking a hotel with all the amenities you need is a priority. 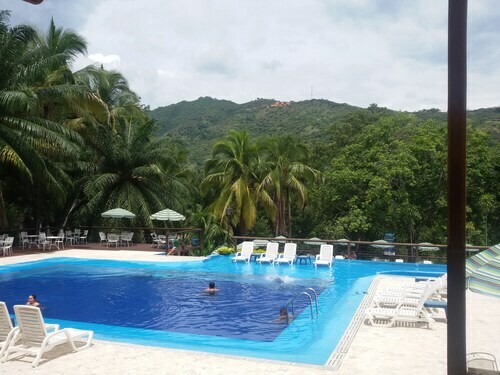 You can find 3 star hotels in Santa Fe de Antioquia that keep you close to all the great sightseeing and activities around the area, or even book a place that’s a bit more secluded, if that’s what you prefer. No matter what you’re looking for—whether you’re all about the location or are invested in on-site perks--Travelocity will help you find the accommodation that works best for you. When it comes to options, you’ll have them. 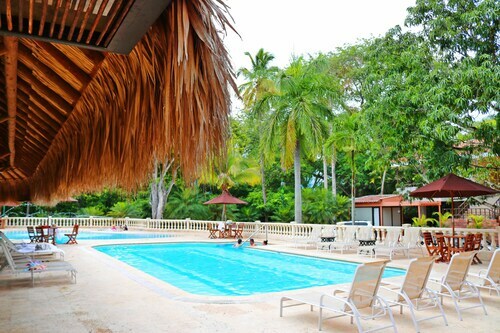 The Santa Fe de Antioquia 3 star hotels give you plenty of choices as far as access to the best areas, and many also offer a breakfast buffet, as well as plenty of other amenities like high-speed Wi-Fi and an on-site pool or spa. Whatever you’re looking for on your next getaway, browse Travelocity’s big selection of hotels to ensure you get the best possible deal. 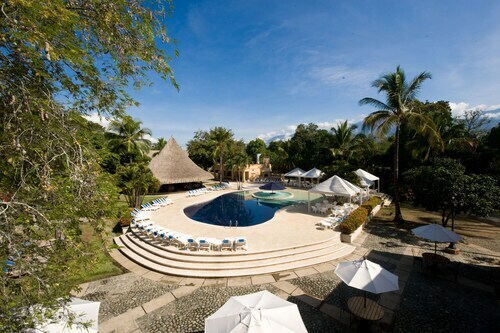 Book one of the best 3 star hotels in Santa Fe de Antioquia today! Amazing Staff. Beautiful location. Food is so good. Family friendly. And romantic.